Let’s be honest. A backpack this fancy shouldn’t be wasted on a kid and their grubby hands, and while the designer houses’ best intentions are appreciated, these cute bags are much better off being used by us. 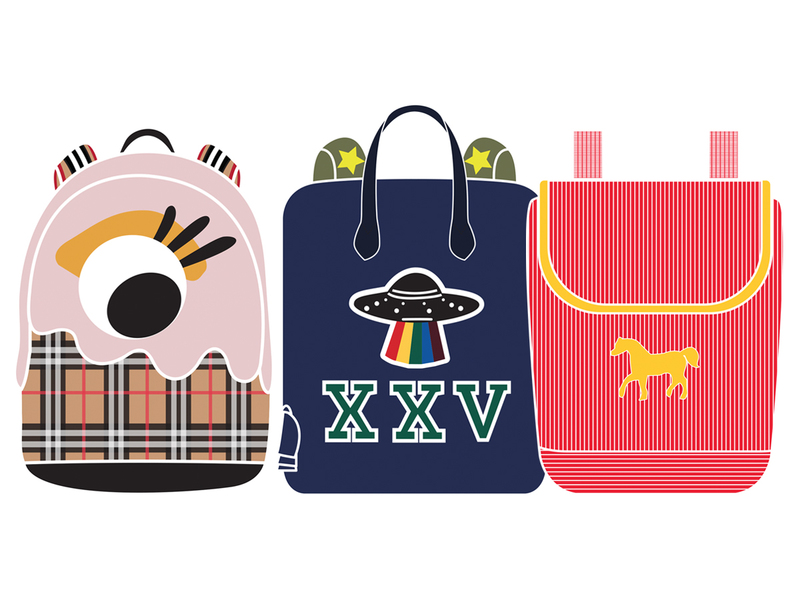 From the cute to the absolute steal, here are 3 kids’ backpacks for your shopping pleasure. Starting with something classic, but with a twist, Burberry’s Monster Motif & Vintage Check Backpack (SGD970) which features the vintage check covered with an eye motif. The whimsical piece measures 39 cm by 29.5 cm which is actually pretty roomy, a backpack most of us can easily carry off as well. While it’s currently unavailable in stores, you can purchase it online and get it shipped over within 2 to 4 working days. Next up, something from Gucci which features the familiar UFO and XXV appliqués on a dark blue coated canvas body. Coming in at 35.5 cm by 28 cm, the boxy backpack features nylon shoulder straps that’s decorated with stars and opens to a bright red roomy interior with an extra zippered pocket. Named the Children’s Canvas Backpack With UFO (SGD1610), you will be able to find this at the Gucci Kids boutique at Marina Bay Sands. Moving on to a piece that’s bright and chirpy all at once, the Cavalcolor School Bag (SGD900) from Hermès that’s made of 100% cotton canvas. It’s the tiniest of the lot, measuring 26 cm by 20 cm, but also one that’s soft and easy on the shoulders. Finished with a horse appliqué right in front, this bag in Grenadine is currently available at the Hermès boutique in Liat Towers.